Glossy 6-8 in. 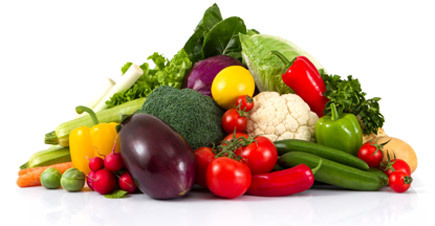 fruits can weigh over ½ lb. 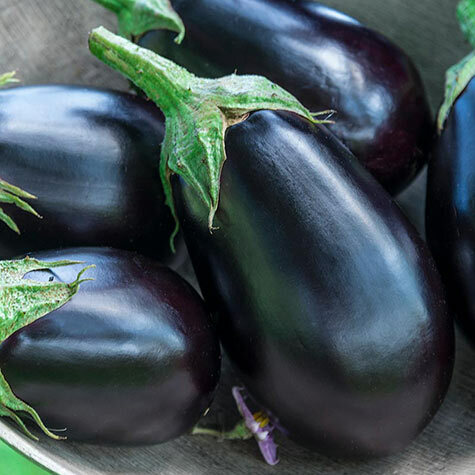 Exclusively from Gurney's, Midnight Queen Hybrid is the best eggplant for the home garden—after two years of testing and trialing, we know you'll agree! 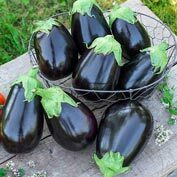 Unlike other eggplant, Midnight Queen's meaty, succulent, bright white flesh does not turn brown when cut and retains an attractive appearance. Never bitter, Midnight Queen's fruits are sweet and delicious inside and out—even its rich, glossy, purple-black skin is a culinary delight. Prepare an exquisite eggplant parm or try a unique, tasty eggplant jerky! 6-8 in. fruits can weigh in at over 1/2 lb. and hold up to freezing better than other varieties. Vigorous, hardy, easy-to-grow plants withstand drought, pests and disease. Even after other eggplant varieties slow and stop production, Midnight Queen continues to produce full-size fruit through the entire summer. Approx. 30 seeds per pkt. 55 DAYS. Spacing: 18 - 24 inches between plants; 30 - 42 inches between rows. Fruit: 6-8 inch fruits with glossy purple-black skin can weigh over 1/2 lb. Flower Form: White and lavender flowers. 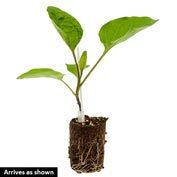 Comments: Her Royal Majesty is the best eggplant for the home garden-after two years of testing and trialing, we know you'll agree! 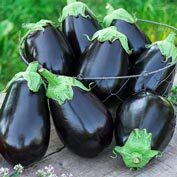 Unlike other eggplant, Midnight Queen's meaty, succulent , bright white flesh does not turn brown when cut and retains an attractive appearance. Never bitter, Midnight Queen HYbrid is sweet and delicious inside and out-yes, even her rich, glossy, purple-black skin is a culinary delight. Prepare an exquisite eggplant parm or try a unique, tasty eggplant jerky!